North Carolina State University announced that it will shut down its Chinese government-funded Confucius Institute by June of next year. 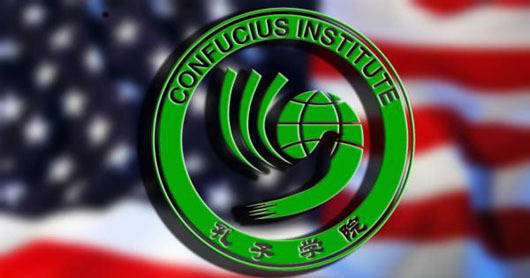 There are more than 100 Confucius Institutes on U.S. college campuses. The institutes teach a Chinese Communist Party-approved version of Chinese culture and history which ignores concerns over human rights and instructs that Taiwan and Tibet indisputably belong to China. “We’re certainly aware of the concerns that are circulating around Confucius Institutes,” NC State Provost Warwick Arden said. The institute’s instructors are paid by the Chinese government for two-year assignments at the U.S. facilities. NC State’s institute received about $300,000 annually in recent years from Hanban, a Chinese language office affiliated with the Chinese Ministry of Education, the News & Observer report said. The National Defense Authorization Act signed by President Donald Trump in August prohibited Pentagon-funded language programs at universities that also have Confucius Institutes, unless those universities secured a waiver, according to media reports on the defense spending bill. At least one campus, the University of North Florida, closed its institute.